JOHANNESBURG, May 29 2017 (IPS) - Amid the worst drought in a century, South Africans are kick-starting a global consultative process to agree on the values of water in a bid to ensure more equitable use of the finite resource. On May 30, ministers, officials, civil society, business and local regional organisations will gather outside Johannesburg, South Africa, as part of a high-level consultation on water called the “Valuing Water Initiative”. The High Level Panel on Water – first convened by the World Bank Group President Jim Yong Kim and then UN secretary general Ban Ki Moon – consists of 11 sitting Heads of State and Government and one Special Adviser, to provide the leadership required to “champion a comprehensive, inclusive and collaborative way of developing and managing water resources, and improving water and sanitation related services”. The HLPW’s core focus is to ensure availability and sustainable management of water and sanitation for all, Sustainable Development Goal (SDG) 6, as well as to contribute to the achievement of the other SDGs that rely on the development and management of water resources. The members of the panel are Heads of State from Australia, Bangladesh, Hungary, Jordan, Mauritius (co-chair), Mexico (co-chair), Netherlands, Peru, Senegal, South Africa, and Tajikistan. The South African consultation takes place on May 30, followed by consultations in Mexico, Senegal, Tajikistan and Bangladesh ahead of a global presentation at the Stockholm World Water Week in August 2017. Global Water Partnership’s (GWP) executive secretary Rudolph Cleveringa explained that, as the first in a series of consultations, the South Africa meeting was expected to “set the tone and pace”. “South Africa is extremely committed to the water agenda. South Africa went from an Apartheid policy-driven water policy to a human rights approach. We are very keen to see the country lead not only from a South Africa view but also from a southern Africa perspective,” said Cleveringa. Announcing that South Africa, in partnership with GWP and working together with the African Ministers Council on Water (AMCOW), was hosting the regional consultations, Mokonyane said the initiative would “support countries to enhance job creation through investments in water infrastructure and industrialisation”. 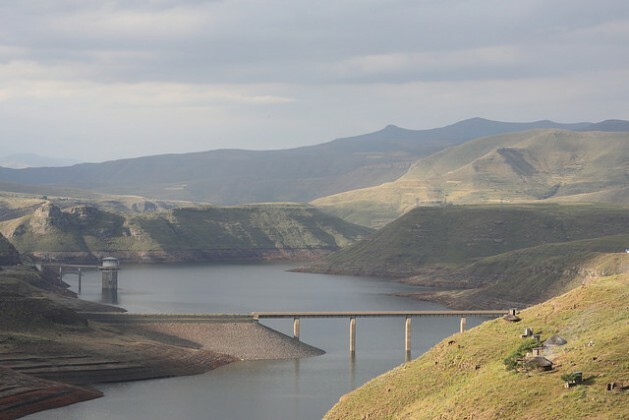 The meeting takes place as the Western Cape province of South Africa has been declared a disaster area as a result of the drought which has seen dam levels drop to crisis levels. The City recently said its feeder dam levels were at 20.7 percent, with only 10.7 percent left for consumption. According to the minister, it is the “worst drought in the last 100 years and the severest for the Western Cape in the last 104 years. “This drought has not only affected South Africa, but also the rest of the world because of global warming, climate change,” she said, adding that it would take at least two to three years for the Western Cape to recover. Cape Town Mayor Patricia de Lille said the city would increase emergency water schemes in the coming months with programmes such as drilling boreholes and exploring desalinisation. In a recent speech, De Lille emphasised the need for public-private partnerships. “We need to be innovative and diversify our financing mechanisms and these efforts will require partnership with the private sector,” De Lille was quoted as saying. The city council has introduced Level 4 restrictions – one level below emergency level. Western Cape-based Surplus People Project CEO Herschelle Milford, whose organisation works to support agrarian transformation, said that the city had blamed migration as a reason for the water crisis in Cape Town. “However, the biggest consumers of water is industry, then agriculture and then households,” she noted. This called for dialogue on how water could be shared equitably among all its users, noted Milford. “The water crisis is a discussion point in the context of large-scale commercial farmers using irrigation with limited recourse amongst land and agrarian activists,” said Milford. Cleveringa said the discussions were being generated from very high international dialogues to discussions at the local level. To this end, the draft principles offer a range of perspectives on how water can be valued. Not only will the South African dialogue include a host of ministers but regional input will be provided by the Southern African Development Community (SADC) Executive Secretary Dr Stergomena Lawrence Tax, as well as various organisations such as Dr Oyun Sanjaasuren, Chair of the Global Water Partnership; and Dr Akinwumi Adesina, President of the African Development Bank. SADC head of water Phera Ramoeli said water valuation was a critical component of water resources management as it allowed “policy and planning across all the developmental spectrum”. “The SADC region has 15 Shared Watercourses which accounts for over 70 percent of all the available renewable water resources in the region. If they are properly managed and adequately funded they will ensure the continued availability of these resources for the current and future generations for the various needs and uses that water is put to,” he said, noting that water was present in a large number of value chains including agro-processing, mineral processing, pharmaceuticals, energy production, even health. “Valuing water is important as it will ensure that water resources management, development, conservation and monitoring receives an appropriate share of the national budget,” he added. The water principles being discussed also emphasise the collaborative process to build water champions and ownership at all levels that allows users to meet all 17 of the Sustainable Development Goals. “We are moving away from valuing water in its fiscal interpretation only. We’re not just looking at it in terms of how much does water cost but going beyond this utilitarian approach. The Bellagio principles demonstrate that there is more than just a utilitarian approach to water and we hope that these consultations will draw out those discussions,” said Cleveringa. “The value of water is basically about making choices,” he said, adding that this called for “not just a cross-sectoral approach but also all of society input into valuing water”. It is in this discussion that the high level panels aim to provide leadership to champion a “comprehensive, inclusive, and collaborative way of developing and managing water resources, and improving water and sanitation related services”. The dialogues need to generate an open debate on the values of water as well as get regional input to the Bellagio principles. Over half of the consultations are happening in non-OECD settings that are being led by the global South. “This sets the right tone for buy-in at multiple levels,” said Cleveringa.